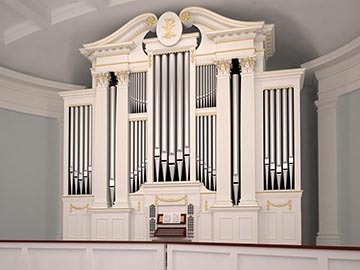 With the signing of a contract on 26 December 2012 Village Presbyterian Church joined our organ family as Opus 22. The church and congregation has enjoyed continuous expansion since its inception in 1949 to over 4,000 members. The church recognized that the previous organ was failing and in 2010 started researching options. 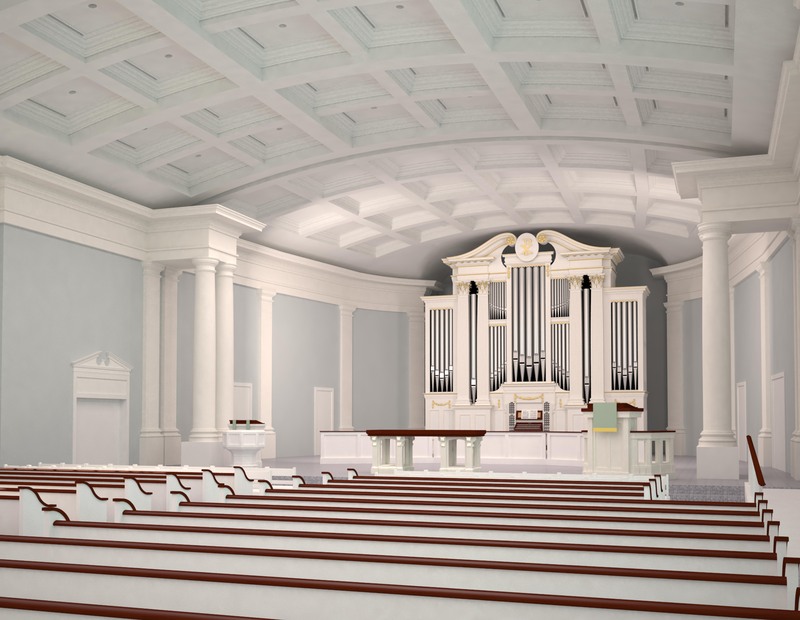 The scope of the final project incudes a completely new ceiling and a redesigned chancel area to enhance the worship and performance of the spoken word and music. The generous financial support of the congregation made this possible, showing the breadth and depth of their commitment in this endeavor. 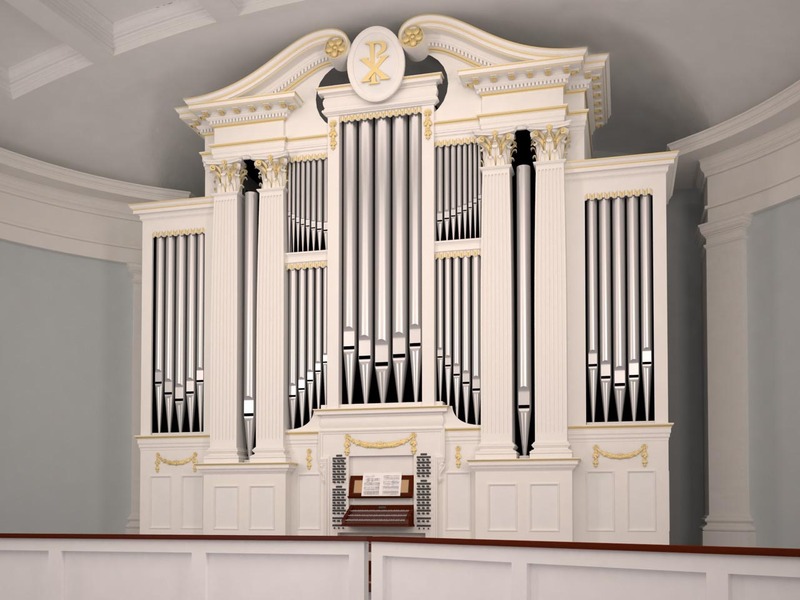 The new organ continues our nuanced approach towards 19th and 20th century church music, retaining our core sound and philosophy of late 18th century Holland. To this we added a broader range of reeds, additional 8 foot foundation stops, a second 16 foot reed in the pedal, and the choir division located in a second swell box. All of this is wrapped in monumental casework inspired by American Centennial architecture of the 1870s. The finished instrument will support an ambitious music program headed by Mark Ball, Elisa Bickers, and Matthew Shepard that encompasses multiple choirs plus orchestra and instrumental ensembles. It also serves as a venue for the greater Kansas City area and UMKC Conservatory. Expected installation is in 2016.